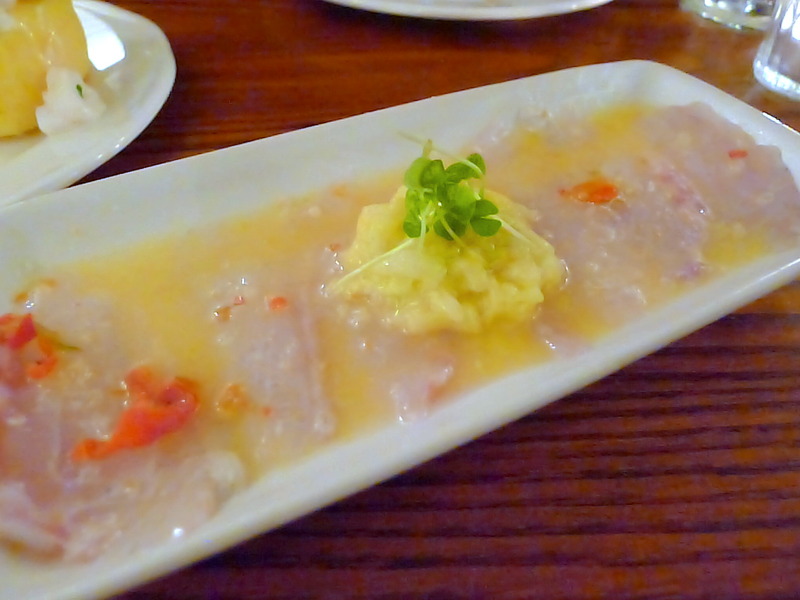 Peruvian food was a barely known cuisine in London until a few months ago. All that seemed to change when half-British, half-Peruvian Martin Morales opened Ceviche back in March, a Peruvian restaurant and pisco bar on Frith Street in the heart of Soho. 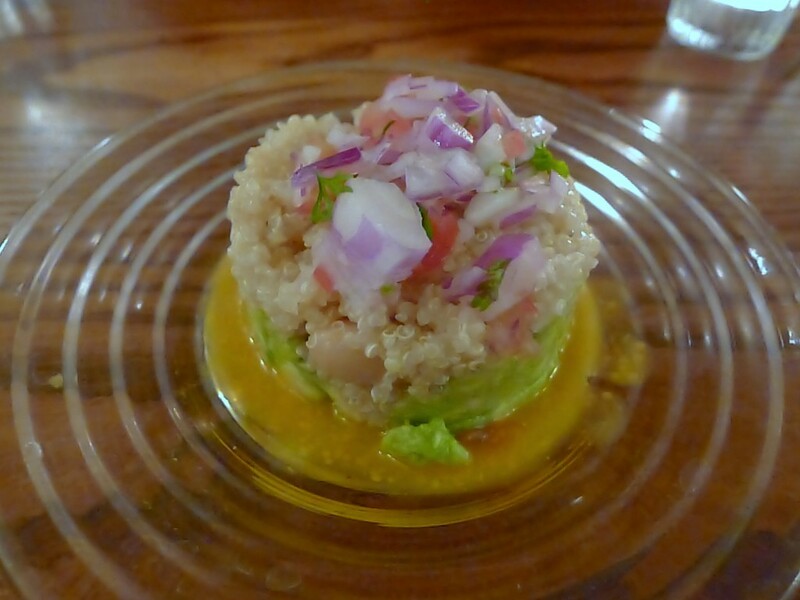 The restaurant is named after the famous Peruvian dish (ceviche) of raw seafood marinated in lime. Since its arrival, Ceviche has created the kind of hype that seems to suggest Peruvian food is the latest craze in old London town. In the months ahead, Morales plans to open two more Peruvian restaurants, and with that, Peruvian food seems here to stay. About time I say. Craze or no craze, as far as international cities go, London is behind the times. New Yorkers have long embraced Peruvian (fusion) food and their association with it goes way back, even before I was living in NYC more than 10 years ago. The food at Ceviche isn’t just about ceviche. The menu is split into lots of different sections with nibbles, grills, salads and classic favourites (but sadly no guinea pig). 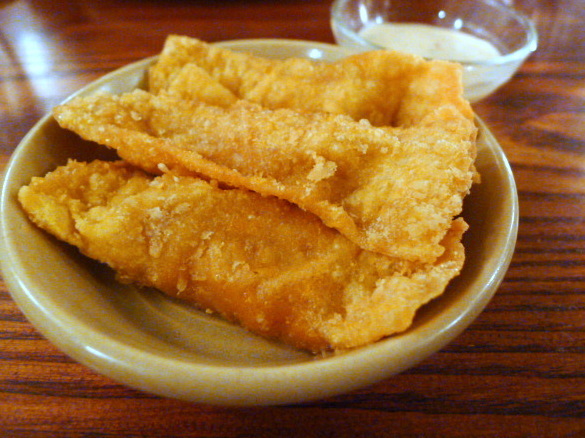 From the nibbles, we tried the deep-fried tequeños fritters (£3.75) filled with a delicious mix of chicken and chilli. I adored the accompanying ají amarillo chilli dipping sauce which was moderately spicy and moderately sweet. However the fritter effect would have worked better had the wrapping been a little less soggy. A little bit crispier and the tequeños would have been spot-on. To the ceviche selection and we went for the “Barranco I Love You”, thinly sliced seabass in ají amarillo chilli, tiger’s milk (the lime juice which can be drunk after consuming the fish), green mango, basil and ají limo chilli (£6.50). Truth be told, this dish wasn’t much to look at, and its presentation made me question its authenticity. The ceviches that I have tried in Peru are more delicately covered with lime juice whereas this version seemed to be drowning in it. Nevertheless the sea bass was very fresh if a touch chewy, and the dish was well balanced for acidity. The other finishing touches of the dish worked a treat as it gave the fish some added zing. Causa mar, a Peruvian potato cake topped with squid, prawns and avocado, and accompanied by a Huancaína sauce (£5.75) was a mesh of yummy flavours. But it had come straight from the fridge so was a wee bit cold, and there was probably too much potato to the ratio of seafood. But the sauce, a blend of feta, milk, ají amarillo chilli was lovely and creamy and packed a punch. 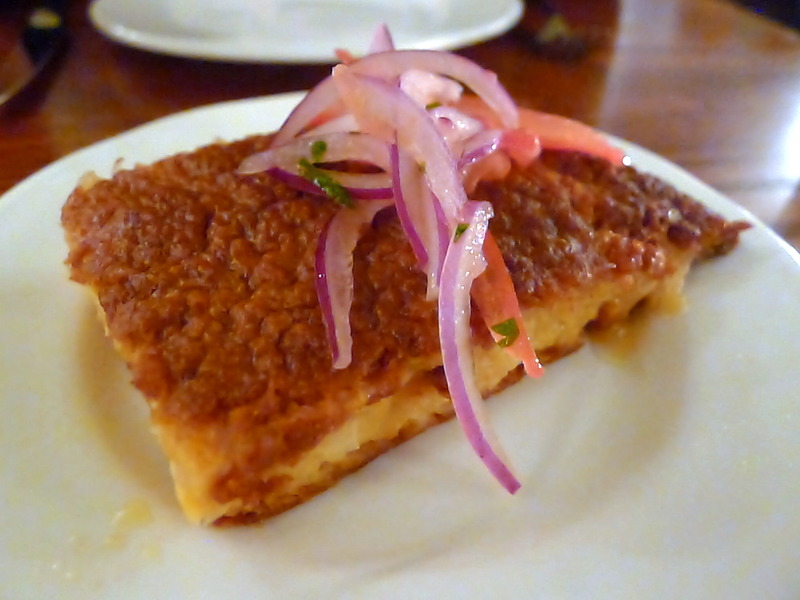 A Peruvian corn cake made with a choclo corn and feta (£3.75) was quite soft in texture. It didn’t boast of a strong corn or feta flavour, at least not as much as one might have expected from the menu description. This was ok to try but bordered on dull. 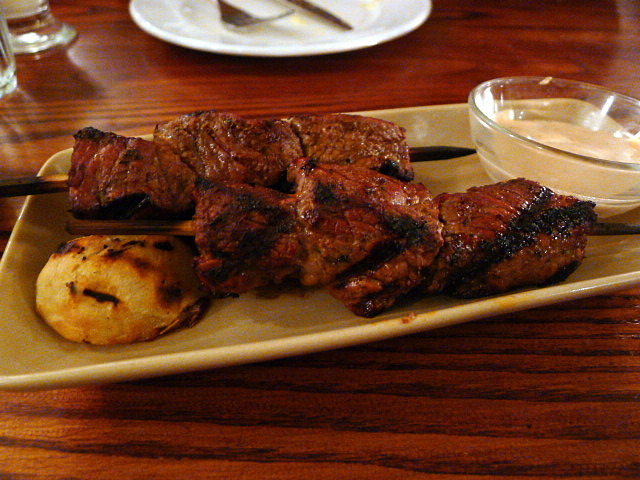 Grilled sirloin steak skewers marinated with ají panca chilli (£8.50) was tasty and tender if a little too well cooked. The anticuchera sauce, a concoction consisting of mayonnaise, herbs and ají amarillo chilli, was again another strong showing in sauce technique. 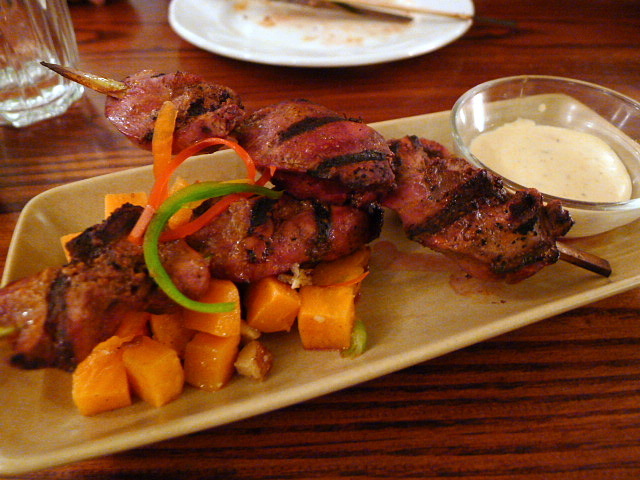 Grilled chicken liver skewers (£5.75), also marinated with ají panca chilli, was very nicely grilled with a crispy exterior and a soft centre. This was an excellent version of how tasty chicken livers can be when cooked right. 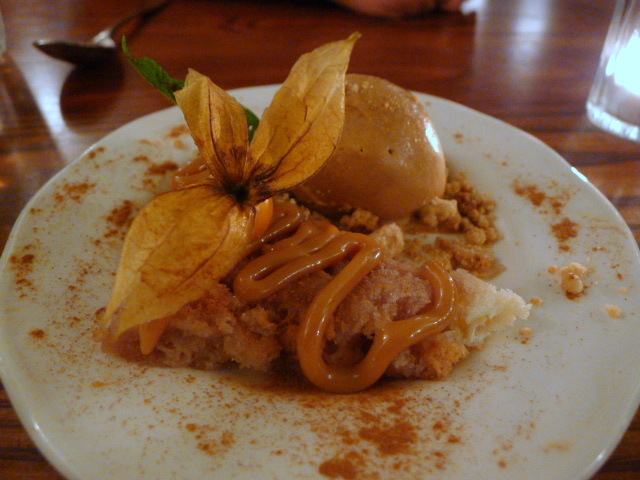 Encanelado de pisco, a combination of a cinnamon sponge soaked in pisco spirit syrup and dulce de leche ice cream (£4.75), proved to be overpoweringly sweet. Tasty, but it could have done with better balance. If you go to Ceviche it would be a travesty not to try at least one of their pisco cocktails. I had the passion sour made with pisco quebranta, passion fruit purée, lime, sugar syrup and egg white which had lots of zingy creamy goodness, and all for a very reasonable £6.75. The food demonstrated quality and freshness, and the menu boasted of lots of Peruvian goodness with its use of chillies and lime. And best of all, our meal at Ceviche turned out to be dead cheap. But the service was disorganised, albeit friendly. Some of our wine and food orders were mislaid on more than one occasion. Once could be construed as a mistake, but twice is poor management. Consider this, the crazy noise levels, and the fact that we were unfortunate enough to sit on the bum-crushing stools perched towards the back of the restaurant, and it made me realise that for the little price you pay, you are not guaranteed an entirely comfortable experience. Ceviche is a restaurant designed for a fun night out where you can enjoy lots of sharing plates and oodles of yummy cocktails with a bunch of friends. But a ‘go-to’ destination it ain’t, at least not as much as all the hype would suggest. Price range: About £25 – £35 per head. Excludes drinks and service. Thanks a lot for sharing the info…Awesome recipes and dishes..Really love it…Thanks again..